The first priority of the night at Warehouse Project is pushing forward the PVC strip curtains, taking several steps and snapping a picture of the set list. On Friday, Store Street was adorned with musical gems. We welcomed Annie Mac Presents. Braving the winds and inevitable, aggravating Manchester drizzle, Room 2 was the first port of call. Will Tramp graced the stage dead on 10pm with an eclectic mix of disco funk. A handful of revelers soon materialised into a room full and the set acted as a time machine of nostalgia and tracks that made it impossible to stand still to. The much anticipated Julio Bashmore, aka Matt Walker, was the choice for midnight. I’ve seen him a few times before and fell in love with ‘Battle for Middle You’ back in secondary school. He proved to have not lost his infectious, ‘pop-py’ accessibility and blasted out tunes from his album ‘Knockin’ Boots’, released only a few months ago. The four walls were injected with bass for the most part, but when Walker dropped ‘Holding On’ it seemed as though people just could not resist the temptation to sway. It seemed all too familiar. That’s because it was – Tesco have featured the tune in a recent advert. Genius. Stormzy. Room 1 was positively packed out for the MC who has firmly made his mark on the grime scene this year. The crowd was excitable, alas the outcome was somewhat disappointing. He churned out a pinch of Skepta, bursts of Wiley and a slur of his own material. ‘Shut Up’ featured, catchy yet inaudible. Bodies bounced and fingers were pointing forward, yet the 30 minutes seemed to drag. Having played the night before, we let him off. This won’t stop me overplaying his tracks from home – the likeable Londoner just didn’t live up to the expectation. A must-see was Redlight. Everything about Redlight is genius, from the toe-tapping ‘Get Out My Head’ to the lyrical-infused ‘Gold Teeth’, His mixed range of experimental output comes from countless, different influence and this is easy to recognise. The set seemed to fly by, and unfortunately encompassed the ‘time flies when you’re having fun’ phrase. And for the crescendo, a curly copper bob bound on-stage and everyone knew what was in store. Need I say more? 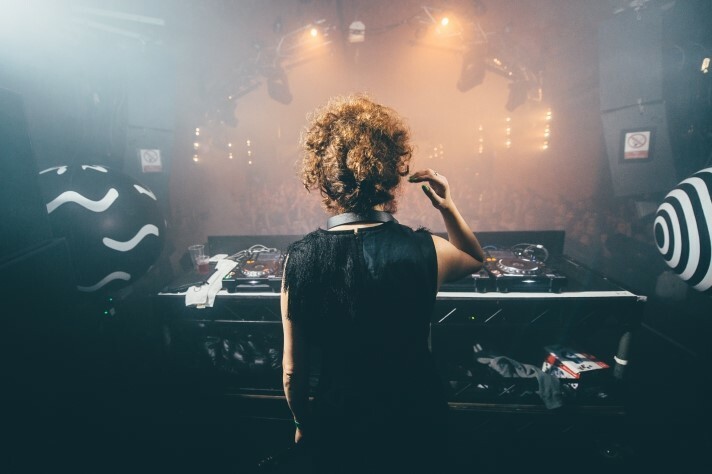 Annie Mac projected a supreme experience, matchless to anything of this day and age. Opening with Hot Since 82’s ‘Veins’ and closing with the five-minute splendor of Eric Prydz’s Four Tet Remix of ‘Opus’, the lights were beaming likened to the faces of each person in the main room. The final hour dawned and DJ EZ’s third visit to the Warehouse laid down everything wonderful about this experience. UK Garage revitalised, EZ mixed Artful Dodger, and before you could blink, the likes of Cleptomaniacs and Majestic invaded the surroundings. A force to be reckoned with, his challenging of the music industry and distinctive presence took hold of the early hours. The end of the event always evokes the same feeling. If there ever comes a day when we can’t have the Warehouse calendar to look forward to, it’s going to be a very upsetting day for many. But we will always look back and have the memories, the memories that are simply impossible to replicate. Want to see more of Annie Mac and her expertly selected line-ups? Check out Annie Mac Presents Lost & Found Festival in Malta, tickets on sale for April. Don't miss out. 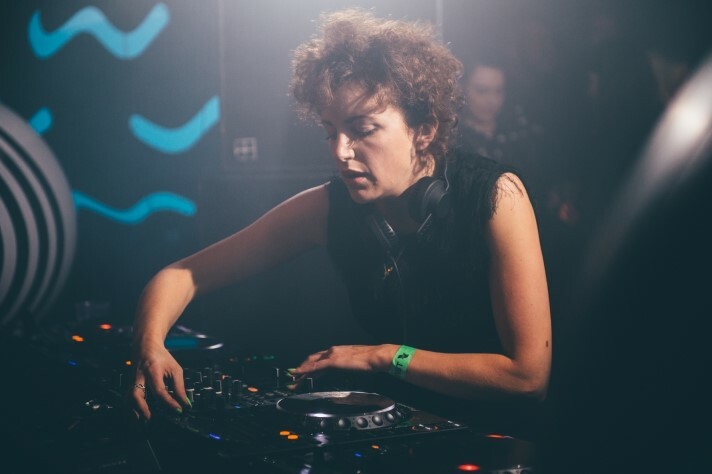 For more Annie Mac events, head over to the Inner City homepage where you can check out more info as our current Featured Artist Profile.